October 12 is the day of the Spanish language. Spanish (or Castellano) is a language belonging to the Roman language group, which has developed from the Latin language. Spanish is the most spoken Romanian language (the other Romanian languages ​​are Italian, Portuguese, French, and Romanian). 570 million people speak Spanish around the world, making it the third language spoken in the world after Chinese Mandarin and English. 470 million people speak Spanish as their mother tongue, and it is the second most spoken mother tongue in the world. The countries that speak Spanish are: Uruguay, El Salvador, Ecuador, Argentina, United States, Bolivia, Belize, Equatorial Guinea, Guatemala, Philippines, Dominican Republic, Honduras, Venezuela, Mexico, Nicaragua, Spain, Puerto Rico, Panama, Paraguay, Peru , Chile, Cuba, Colombia, Costa Rica. Spanish is one of the official languages of the United Nations. Spanish was influenced by the Arabic language. The Arab armies began to conquer the Iberian peninsula in 711, bringing with them the art, architecture and Arabic language to the region. Arabic gradually mixed with ancient Spanish, which became the language spoken today. When Spain expelled the Arabs in 1492, the language retained some 8,000 Arabic words. Apart from Latin, Arabic is the largest donor to Spanish. Many words in Spanish come from the Arabic language like: alfombra (carpet), la almendra (almonds) and almohada (pillow). 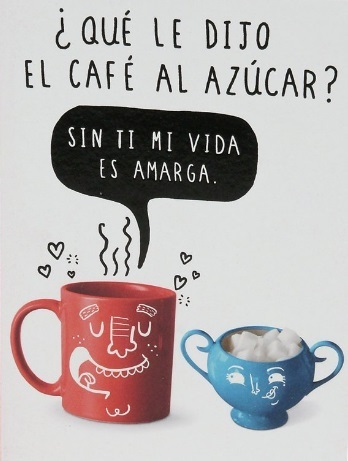 The Spanish language is poetic and has long sentences. When translating from English to Spanish, text is expected to expand by 15-25%. The reason for this expansion lies in the fact that the Spanish is more detailed, poetic and expressive. When Colgate wanted to advertise in Spanish-speaking countries, it encountered an obstacle because the word Colgate sounds like "Cuelgue" which means "hang yourself." In written Spanish, at the beginning of each question you have to write an inverse question mark (¿). If you want to drink in the Spanish-speaking countries Coca-Cola, you'd better ask for Coca, because the word "cola" in Spanish means "buttocks." When the Spanish-speaking gold and countries explorers arrived in the North American continent, they marked the place on the map as "aca nada" (here there is nothing). This is how Canada accepted her name according to one of the hypotheses. 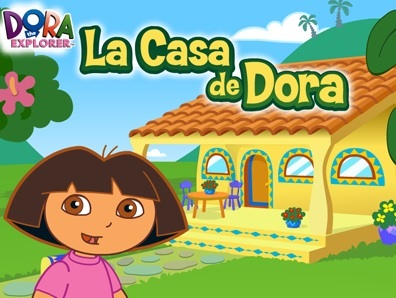 The series "Dora the Explorer" was originally intended to teach American children Spanish. In the Spanish version of SpongeBob, the names of all the characters are translated into Spanish in a way that resembles telenovela a little - Bob Esponja (SpongeBob), Patricio Estrella (Patrick Star), Calamardo Tentáculos (Squidward Tentacles), Arenita Mejillas (Sandy Cheeks), Don Cangrejo (Mr. Krabs), Perlita (Mr. Krabs' daughter Perla). And only Gary remained Gary. Another little thing: if you try to translate the names fully in Google translate, you will get the names of the characters and not the literal translation of the words. Want to learn Spanish? 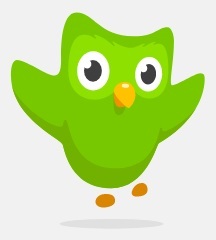 You can do this for free through the Duolingo application, which is used for language learning. The app is supported by donations from companies like Google, but also receives donations from a private individual who has decided to take them as a project: Ashton Kutcher.